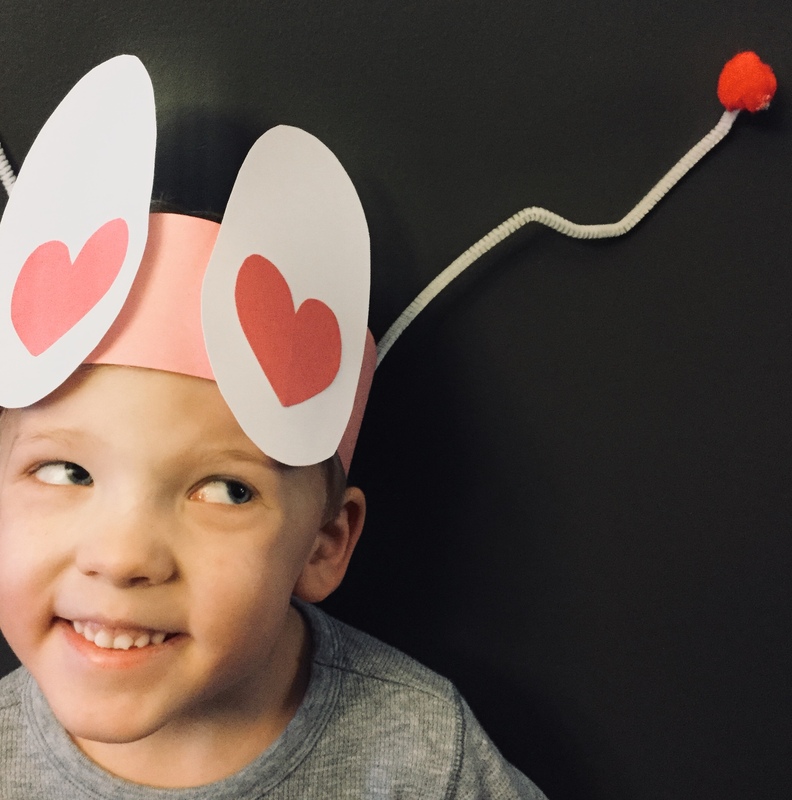 Make these adorable paper hats for your cute little love bugs this Valentine’s Day! 1. Cut two strips out of the pink construction paper for the headband portion. Measure around your child’s head and trim the paper, if necessary. Lay flat on your work surface. 2. Cut out two large ovals from the white construction paper. Set aside. 3. Cut out two hearts from the red construction paper and use a glue stick to adhere them to the lower half of the ovals. 5. Hot glue one pom pom to the end of each pipe cleaner. Using a piece of tape, attach the pipe cleaner to the inside of the headband so the “antennae” stick out on each side.